The cold weather is back and I’m very pleased to see the animal trend return with it, although it never really goes out of fashion! I love anything with an animal print, pattern or motif so its great to see all of the new furry friends that are available. 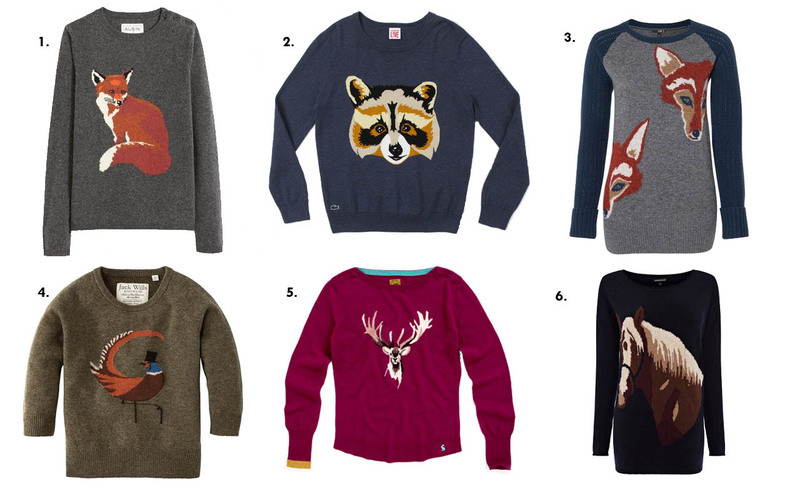 These are my favourites, I love how much detail there is on each of the individual animals – I want them all! Here is what I’m lusting after for the Autumn season!! 1. 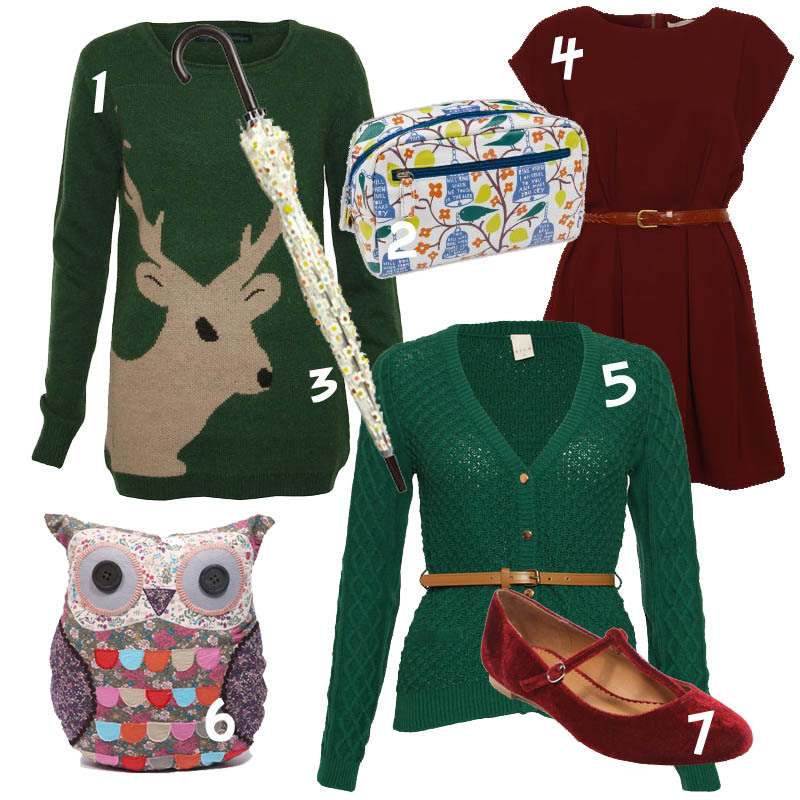 Sugarhill Boutique Green Stag Sweat – I love love love this Jumper!! Animal motifs seem to be around on a lot of clothes this season, Ark seems to have quite a few including this Stag one, theres also some deer print ones too. I particulary like the colour of this. 3. Orla Kiely Multi Flower Check Birdcage Umbrella– I’ve been in search of a nice looking ‘dome’ umbrella for quite a while, it’s probably the best way to keep dry as you can pull it right down over your head, good to protect my hair!! 6. Owl Cushion – I’ve seen these around loads, but I really want one to sit on my bed! 7. Kimchi & Blue Burgundy Velvet T-Bar Shoes – These are so cute!! I love the colour and they are made of velvet,which is always a plus! !